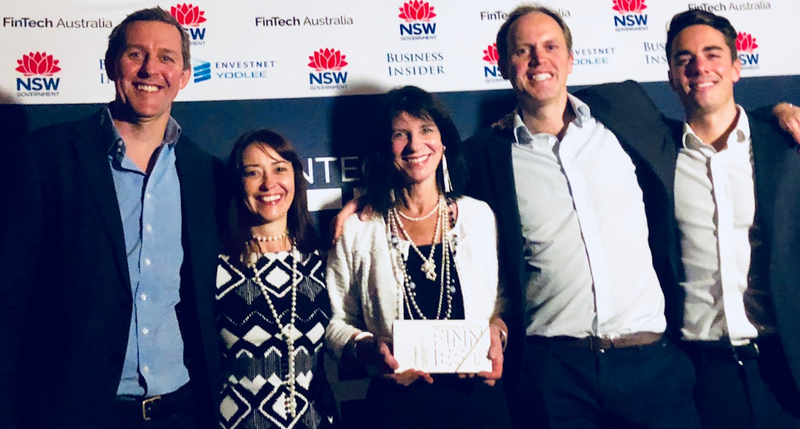 The Finnies are Australia’s only industry-backed awards, which are supported by FinTech Australia and the NSW Government’s Jobs for NSW. The Finnies recognise and celebrate the best and brightest in the rapidly growing and exciting fintech industry. The award was presented to OnMarket by Stone & Chalk CEO Alex Scandurra, after each entry was assessed by a panel of 81 domestic and international judges. OnMarket has become the leading equity crowdfunding platform in Australia, successfully completing two equity crowdfunding deals in the short time since receiving their equity crowdfunding intermediary licence from ASIC in January 2018. The new crowd-sourced funding legislation allows unlisted public companies the opportunity to raise up to $5mil per year from the crowd. The Finnies award for ‘Excellence in Crowdfunding’ follows on from OnMarket winning ‘Crowdfunding Innovator of the Year’ at the FinTech Business Awards earlier in 2018. CEO Ben Bucknell stated “In our most recent equity crowdfunding deal we helped bring together the largest ever crowd to participate in an equity crowdfunding raise. This shows what we at OnMarket believe to be the true essence of equity crowdfunding, that is, to bring together the community to invest in companies making a difference. The capital raising provided solar energy focused retailer DC Power Co. with 15,000 people to be a ready-made engaged customer base.” DC Power Co. raised $2.25 mil through OnMarket in a deal led by co-founder and Managing Director Rosemary Kennedy. Equity crowdfunding brings entrepreneurs and investors together for the first time, and that is what OnMarket was able to achieve with Revvies, which was the first equity crowdfunding deal to close in Australia. Revvies successfully raised close to $300,000 from over 250 investors via the OnMarket platform. Revvies has developed an innovative, fast dissolving mouth strip that delivers 40 mg of caffeine. “OnMarket will continue to make investing in IPOs and equity crowdfunding an efficient, simple, and transparent process that is accessible to everyday Australian investors and businesses seeking to make a change in the world. We are extremely proud to be the winners of the 2018 Finnies ‘Excellence in Crowdfunding’ award”, Mr Bucknell said.